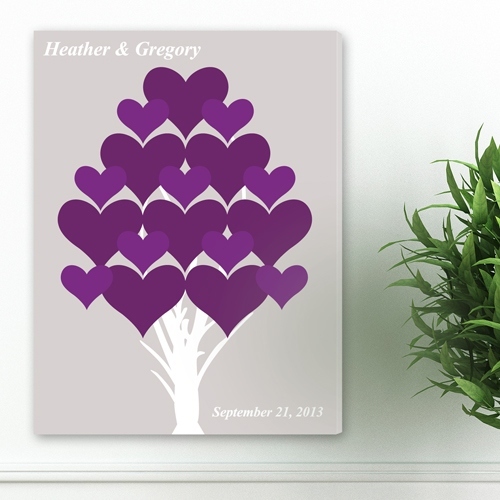 * Purple means passion and our Forever Hearts canvas print has plenty of it! * Present this lovely signature canvas as a bridal shower or wedding gift for your favorite couple or to commemorate a landmark anniversary. * It provides a bold statement and helps the happy couple remember that special day. * Includes first names and date.